I am a founding member of The EduBloggersNetwork. We are all dedicated to the most accurate reporting we can provide. Membership is open to dedicated bloggers determined to reveal the truth about education reforms. This blog by member Ken Previti. There are times when a teacher needs to have the facts, simple or complex. For complex information, very often there are multiple facets that need to be examined from different points of view. Who can you turn to when faced with the overwhelming problems that surround you? Who has no personal power base or money to gain from the information? What group of people will offer you unbiased facts and their experienced perspectives for you to consider? The EduBloggersNetwork, a group of over 200 individual bloggers with solid education backgrounds and unique perspectives from schools across the country, are respected for their varied experiences and focus. They do not march in lock-step nor are they paid by billionaires and their tax-free mega-wealthy foundations which are heavily invested (for profit) in corporate education reform. During one of the online conversations that questioned each blogger’s reasoning for blogging in support of teachers against incredible pressures backed by billionaire investors, one blogger’s comment in particular touched the heart of the subject. You as a teacher face very specific problems that you must come to terms with regarding your career and your personal integrity. By reading information and strongly supported opinions from teachers such as Maestra and the others in the Education Bloggers Network, your needs can be met. 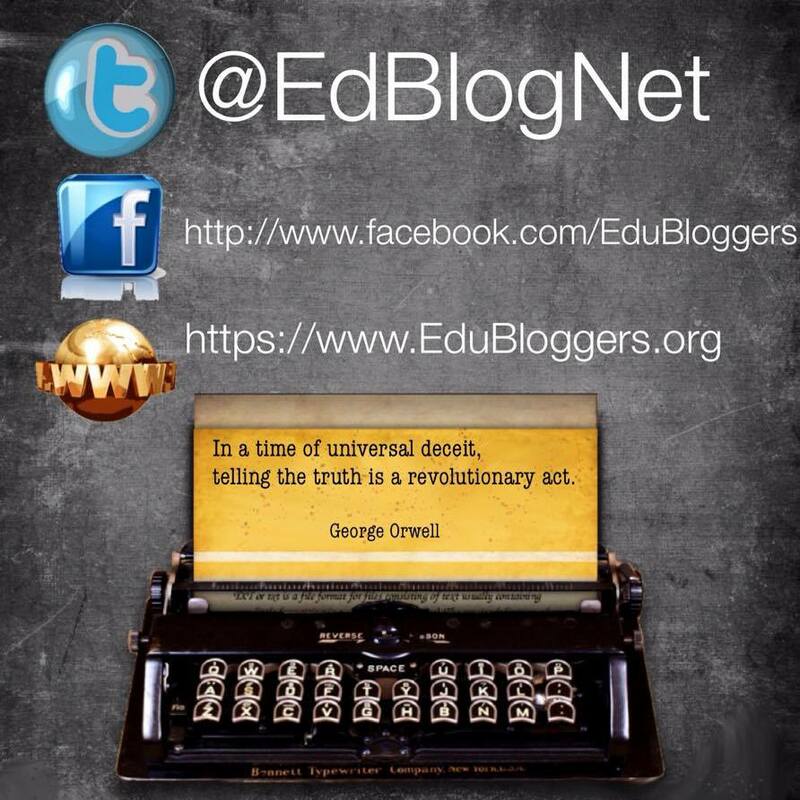 EduBloggers: Dedicated to truth-telling for democracy. The Education Bloggers Network is an informal confederation of more than 200 education reporters, advocacy journalists, investigative bloggers, and commentators. Members of the Education Bloggers Network are dedicated to providing parents, teachers, public education advocates and the public with the truth about public education in the United States and the efforts of the corporate education reform industry. Many members of the Education Bloggers Network have their own blogs, some write news analysis and commentary pieces for local, regional and national newspapers and media outlets. Still others use their Facebook or other social media platforms to write about public education issues. Like the Committees of Correspondence leading up to America’s War for Independence, education bloggers work alone, in groups and has a broader force to educate, persuade and mobilize parents, teachers, education advocates and citizens to stand up and speak out about the critical issues facing public education today. Go to the site for the names of the the individual bloggers. Prepare to be delightedly surprised. Prepare to meet education realities from multiple points of view. It is to your advantage to read what they have to say. How effective are these bloggers? Copy-cat similarly named blogs, Facebook pages and Twitter accounts abound. Paid trolls attempt to win the unaware away to their own groups ; they are profiteering vultures disguised as independent eagles. So, please, for your own sake, consult the actual sites and accounts of those who sincerely attempt to help you. EduBloggersNetwork is on your side. Over 200 educators with blogs are on your side.